If you have been looking for a free video editing software to use on your PC, then, search no more, because I have listed some free and best video editing software for PC. They are very simple to learn and understand. And if you haven't used a Video editing software before, then, try any of the below softwares. I promise you will make good quality videos with any of them. If you use your phone to make videos, such as comedy skits, songs of you, magics and likes of them, you need a video editing software to make the Video look perfect and interesting before sharing it online or with friends. Though, there are quite a number of free video editing tools for Android which is available on Playstore, such are VideoShow, VivaVideo etc. But now, these softwares are for PC users, whether you are running on Windows OS or MacOS. This is another professional-looking free video editing software that requires a little patience if you need to master it. The interface is quite unusual. This is mainly because the software was originally a Linux tool, and there has not been much change in its conversion to Windows. However, the fact is that Shotcut boasts of some pretty impressive features. All you need is to spend time learning it, and you will produce amazing quality video in no time. 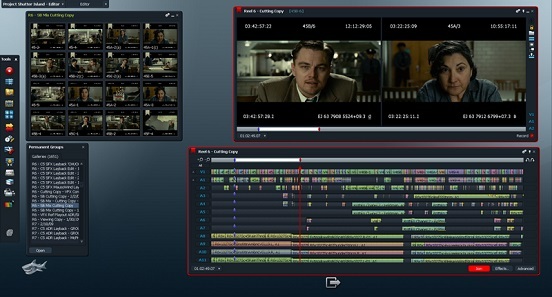 Most video editors have two major issues: they are either limited in features while being simple and easy to use, or they are powerful and time-consuming to learn. 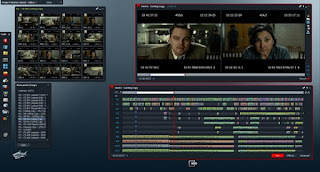 VideoPad Video Editor is neither one nor the other.it is powerful, yet simple and easy to use. so simple, in fact, that you can use it if you have never touched a video editor before. Granted, it does not have as many features as Lightworks, but you can make really great videos with it. You can run a search on Google with the name of the software, e.g: "Shotcut video editor download PC". You will see their official site where you can download the software free of charge. You will need to choose your PC OS and Bit before downloading. That's all. Please do Share. Assuming you read the post completely, you should have seen where I suggested best free video editing apps for Android. Oya go and read the post again now.